Adrian studied MA Acting at East15, graduating in 2011. Credits while training include: Macbeth in ‘Macbeth’,Shooter in ‘Action’,Pischik in ‘Cherry Orchard’, Monster in ‘Frankenstein’and Denny in ‘Kingfisher Blue’. Devised work includes: Matthew in ‘1649’ and Adrian in ‘Recovery’. Soon after graduating Adrian began a national tour as The Lion in ‘The Wizard of Oz’, since then he has appeared as Lukas in ‘Superhero Snail Boy’ and Guard 2 in ‘Then They Came For Me’ at Greenwich Theatre, has appeared as Uncle in an Instructional DVD for Cannon and has helped create a variety of creatures using Motion Capture for MetFilm. Adrian has been involved in some Role Play Projects, including Site Specific Theatre with Gideon Reeling at Lulworth Castle. 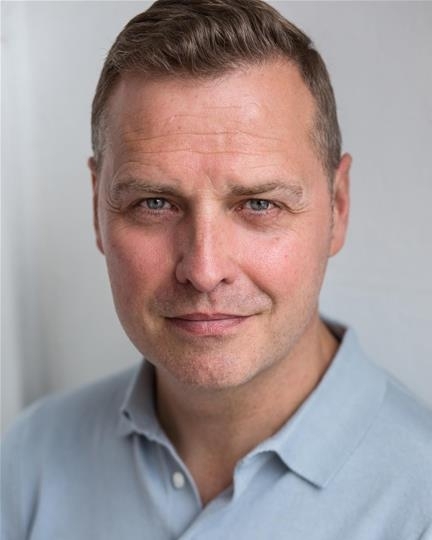 Other work includes voice overs, student and short films, an appearance in Whitechapel (ITV) and most recently playing the role of Horecomheb in The Comedy of Oedipus at the Lion and Unicorn Theatre and as Car Salesman (principal artist) in the Confused.com commercial.